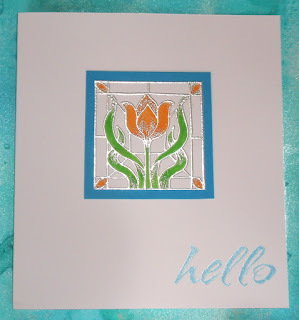 I don't have a kingfisher stamp so used one of my first stamp purchases - Tulip Stained Glass from Inca stamps. I've embossed the stamp in silver to represent the leading and coloured with orange and green Pentel Brush markers. It's just matted on kingfisher blue card and the Hero Arts Hello is stamped with Brilliance Pearlescent Sky Blue. 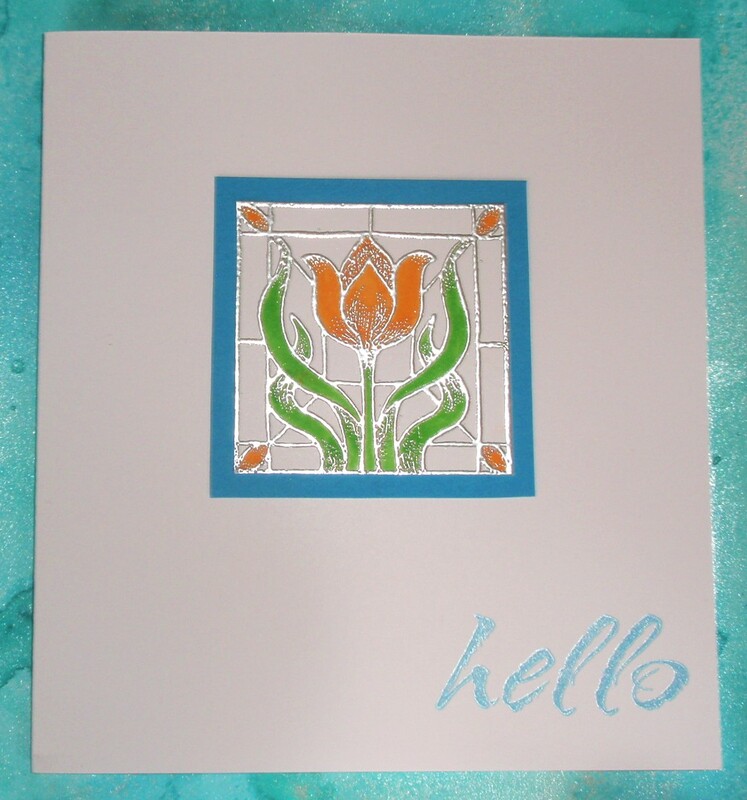 Great card Elaine, super stained glass effect. 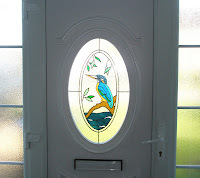 Great card, and beautiful kingfisher window in your door. Elaine your card is lovely. What a beautiful front door. Hi Elaine! 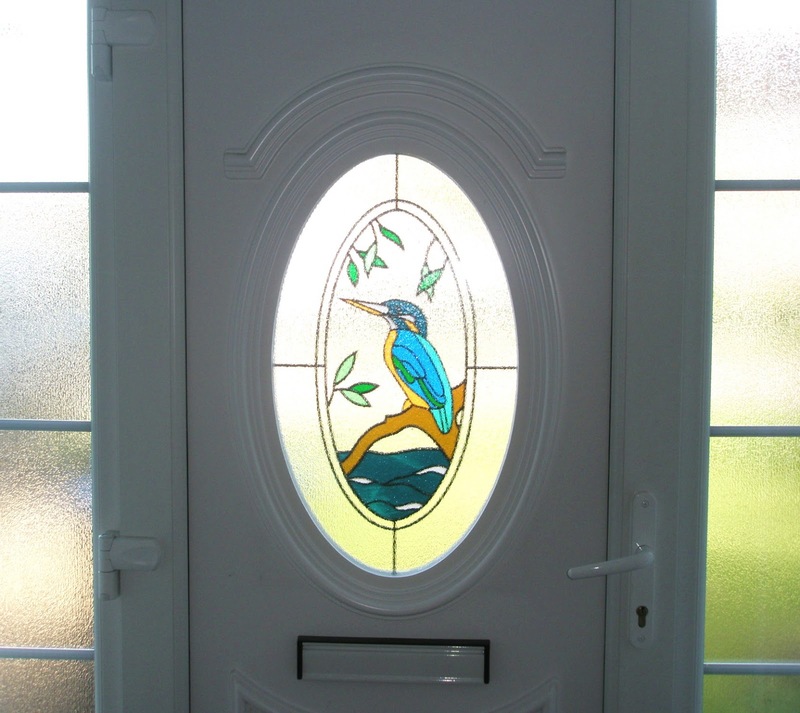 A brilliant take on your beautiful front door! Thanks for stopping by my blog with kind words. Have a great day.